California’s Proposition 25 promised to rein in runaway spending and “end budget gridlock” by hitting politicians’ pocketbooks. Every day on which lawmakers failed to pass a balanced budget after their June 15 deadline each year would be a day of pay they lost. The illusion of democracy is that by voting yes or no to certain politicians or certain laws, the people can restrain the government. But “so long as legal plunder continues to be the main business of the legislature,” the people find themselves becoming merely the state’s accomplice. The state of California is unusual in that it has historically required a two-thirds majority to pass any budget or tax increase. This was the cause of the state’s historical “budget gridlock.” Even a substantial majority found it difficult to railroad the public into new spending or taxing. The measure’s supporters pointed out in their video ads again and again that it “does not raise taxes.” That’s true. Prop. 25 only makes it easier to increase spending by reducing the budget requirement to a simple one-half majority in the legislature. Californians do not get to choose between increasing taxes and cutting their state’s bloated public pensions, which are now unfunded to the tune of $497 billion dollars. Neither do the voters have the option to cut the governor’s pet project — a $68 billion high-speed rail line. That’s not on the chopping block either. Ultimately, all property is public property. 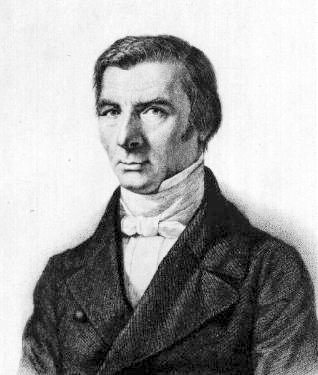 The only thing the politicians need in order to engage in what Bastiat called “legal plunder” is to fulfill the procedural minutiae of the legislatures and the bureaucracies. They need a two-thirds vote for this and a one-half vote for that. They need to manufacture mass consent for one thing, and they need only an executive order for another. Mike Reid is primus inter pares at Invisible Order, a libertarian editorial-solutions company. He also teaches anthropology at the University of Winnipeg. Send him mail. Follow him on Twitter. See Mike Reid’s article archives. This entry was posted in Finance and Economics, Philosophy and tagged Bastiat, California, control, government, gridlock, law, legal plunder, Proposition 25 by cnlib. Bookmark the permalink.